“Our power industry users have been using the Vanguard detectors primarily to reduce the cost of finding methane leaks in natural gas lines and eliminate explosions from accumulations in silos and bunkers. The addition of ammonia and carbon monoxide provides even more capability to monitor important assets and keep workers safe,” said Andrew Liptak, United Electric Controls product manager for Gas Detection. 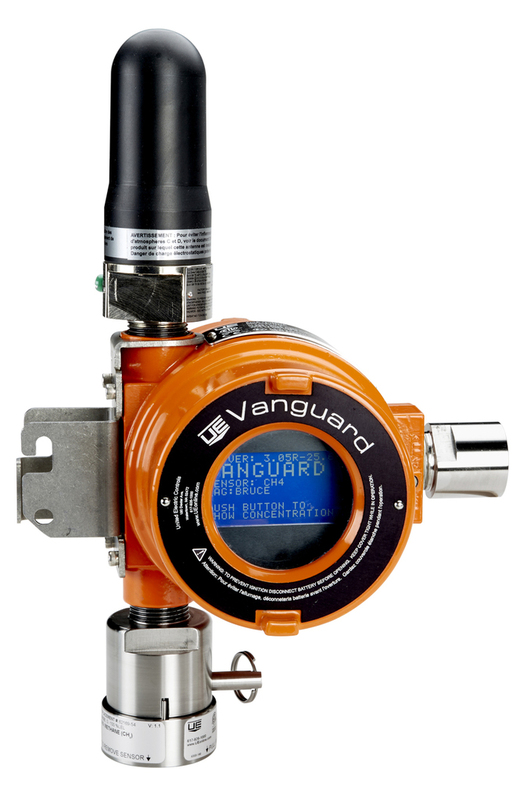 WirelessHART Vanguard Gas Detectors interface with existing networks to provide continuous coverage while reducing the cost of detecting toxic and combustible gases. United Electric Controls has recently upgraded the Vanguard to handle a broader ambient operation temperature range (-40°C to 65°C); enhanced zero stability; and with interchangeable firmware that enables measurement of additional gases without changing the base unit. NH3 and CO are the first new gases to take advantage of this unique capability. Power producers use ammonia to reduce nitrogen oxide (NO) — the chemical that creates smog and acid rain (NOx) in flue gas before it enters the atmosphere. CO results from incomplete combustion and can leak from boiler casings and smoldering coal. Undetected leaks of either can be toxic or result in explosions. Future Vanguard versions will address other gases commonly found in the power industry, including hydrogen from electric generators and battery rooms and oxygen that might be depleted in continuous emissions monitoring (CEM) shelters. Beta testers of the ammonia and carbon monoxide detectors receive up to fifty percent discount on the first three ammonia or carbon monoxide Vanguard detectors they purchase. They can also purchase additional sensor heads which will enable them to detect hydrogen sulfide (H2S) or methane (CH4) using the Vanguard base unit.